Riding horses is more than a hobby—it’s a lifestyle. Upon admiring their strength, beauty and charming personalities, falling in love with these animals is simply unavoidable. Having one as a pet creates an unshakable bond. There’s no better way to show your love for everything equestrian than sporting stunning horses on your person at all times or incorporating the beauties into your home decor. There are plenty of ways for horse lovers to honor their favorite animals in style. We’ve included our favorites in this roundup of great gift ideas for the horse lover in your life. 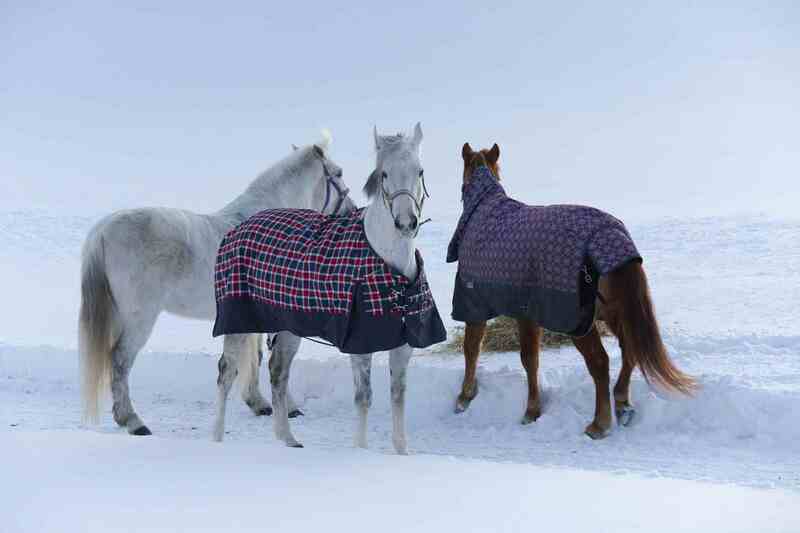 Keep your furry friends nice and warm during the colder months with an adorable and functional horse blanket. Be sure to measure your horse before heading to the store or making your own. Socks are always a good gift. They’re practical must-haves and can be made to look stylish, too. We love wearing socks that show off our personalities, so try to find ones with fun patterns and frolicking ponies. Experience gifts are a great way to reduce waste and give something someone will actually use and remember forever. If you have a horse lover in your life, consider gifting them a certificate for horseback riding lessons. They will be able to learn new things about their favorite hobby and have fun at the same time. It’s the gift that keeps on giving! Most horse lovers love to spend time riding and caring for their pets. When it’s cold, this can be a daunting task. That’s where hand warmers come in. To make this gift even more special, create cute customized hand warmers. Your favorite horse lover will think of you every time they use them. This gift is extremely budget-friendly. Head to the thrift store to find a used photo frame and paint it to make it look as good as new. Add a fun photo of a horse inside and you’ve got a one-of-a-kind gift. It’s always a good idea to learn more about your passion (and look at cute photos of them). For horse lovers, choose books that offer fun facts or in-depth information on animal care. Coffee table books with pretty pictures and horse-themed novels are always welcome, too. Seeing your favorite thing first thing in the morning is a surefire way to have a great day. Look for mugs that sport horses or design your own. Jewelry is a gifting go-to. Instead of picking up a typical pendant or ring at the big box store, consider a customized piece. Create or order a necklace displaying beautiful horses. Some companies even allow you to engrave a heartfelt saying or name into the jewelry. Age is but a number. Everyone loves coloring books! This gift is perfect for the artsy horse lover. Whether you’re lounging on the couch or working hard outside, drinking water is essential. That’s why this double wall vacuum insulated water bottle makes a great gift. If you come with sugar cubes in your pockets, horses will love you. DIY sugar cubes make for an excellent addition to a horse lover’s pocket. Just don’t feed too many to your furry friend in one sitting as too much sugar can be bad for their health. Horse owners can never pass up an opportunity for a stylish new halter, bridle or saddle. Shop for gear that they’ll love or give them a gift card to their favorite farm supply store so they can pick out their own. 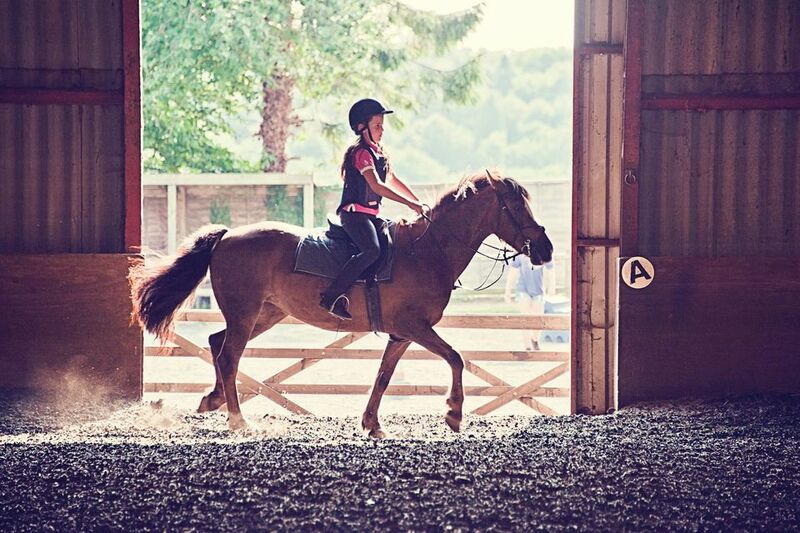 Cute helmets are another gift idea for the safety-conscious horseback rider. This gift will please both the horse lover and their horse. After all, yummy food is always appreciated. Fill a horse feed pail with food that you pick out—think apples, carrots, and hay. Wrap your treats up in cellophane or festive wrapping paper and tie it shut with a decorative bow before gifting it. Put together a horse grooming kit including a new brush, shampoo, a hoof pick, bug spray, and more. Pack the supplies nicely in a portable tote or bag they can keep handy when it’s time to groom their pets. When horse lovers aren’t in the pastures, they’re dreaming about it. A calendar showing off pretty pictures of horses is the perfect addition to any horse lover’s office. A nice calendar will put a smile on their face every time they check the date.